Children learnt that they should only have 5 sugar cubes each day. They used the Sugar App to check how many cubes of sugar are in different fizzy drinks. 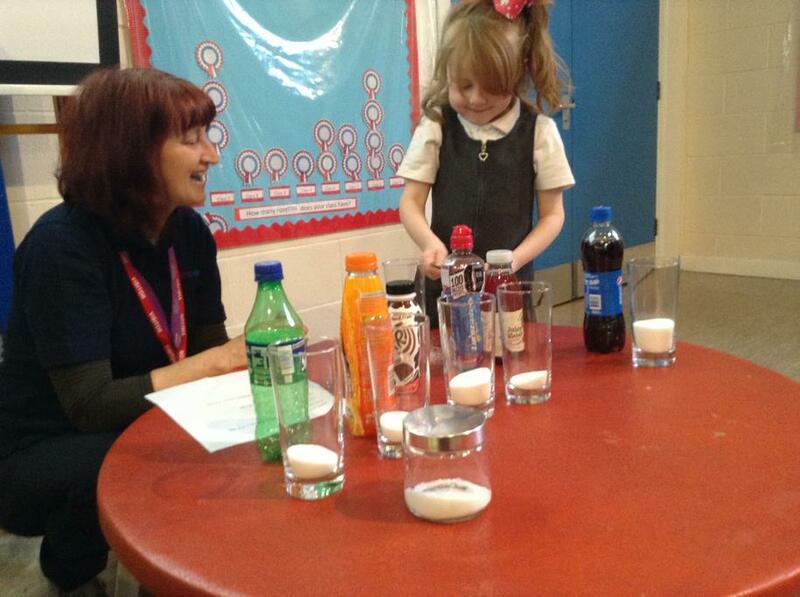 Children and adults were shocked at some of the results and made a pledge to give up fizzy drinks for February. Thank you to Jackie and Celine from My Time Health who gave us all the information we need to reduce our sugar intake.